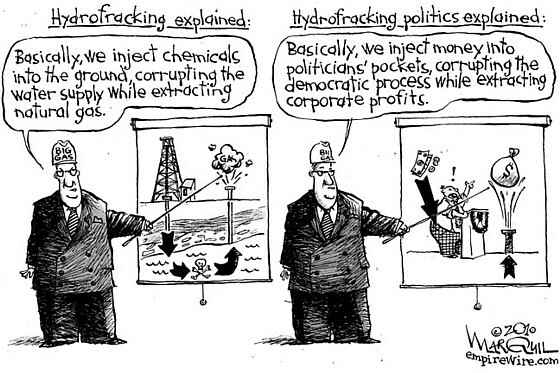 The Fracking Debate: A Policymaker’s Guide. Concerns about hydraulic fracturing are behind many states’ reluctance to tap the economic benefits created by natural gas development. 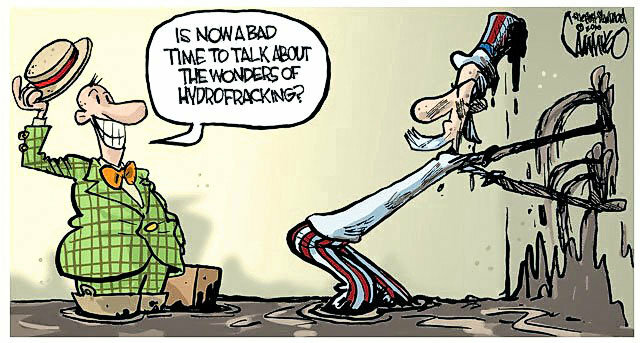 Hydraulic fracturing—“fracking”—is an oil and gas extraction method that uses hydraulic pressure to break up rock. Millions of gallons of pressurized liquids, usually a water-based mixture of sand and chemical additives, are pumped deep underground to help release trapped gas. This report provides an introduction to the domestic natural gas picture, explores the motivation behind state legislative involvement in fracking regulation, and summarizes state legislation that is being developed to address environmental concerns. Fracking allows access to previously inaccessible resources, such as shale gas, which is making up an increasingly large portion of the overall energy supply in the United States. Combined with recent advances in horizontal drilling, the technology has opened up resources that, only a decade ago, were too expensive to develop. Some forecast that this increase in supply could sustain current U.S. consumption levels for another 90 years. Rapid expansion of hydraulic fracturing in densely populated regions where the process is unfamiliar, however, has focused attention on its potential to affect public health and the environment. Cumulative natural gas production from 2010 through 2035 is projected to be 7 percent higher than expected just a year ago.1 This is mainly due to technological advances in hydraulic fracturing that now make shale gas more accessible. According to the U.S. Energy Information Administration (EIA), shale gas production alone will increase nearly threefold from 5.0 trillion cubic feet in 2010 to 13.6 trillion cubic feet in 2035. This equates to 23 percent of total U.S. dry gas production in 2010 and 49 percent of total U.S. dry gas production in 2035 (Figure 1). Download PDF (18 page document) to access the full report. The Capitol Pressroom for March 7, 2012 | WCNY Blogs. Begins at approximately minute 23. CRS report: Congress can require Keystone oil pipeline approval – The Hill’s E2-Wire. (PA), have co-sponsored the legislation. Bay. But its impact is far broader than that. have led to dead zones in the Chesapeake Bay and Gulf of Mexico. toxic pollutants in toxic amounts”). standards is not protective of water quality. quality across America since the Clean Water Act’s passage in 1972.
water may be ignored for short term economic or political gain. the puzzle and would take away this safety net. protecting water quality across all 50 states. Nassau County based Senate Majority Leader Dean Skelos has not brought to the New York Senate floor for a Vote any protective legislation relating to the unconventional-horizontal hydraulic fracturing. Monday, June 20, 2011 is the last day of the Legislative Session. Please place a call Monday to Senate Majority Leader Dean Skelos’ office: (518) 455-3171 to confirm you support the following proposed legislation (by Bill Number), which is supported by the New York State League of Women Voters. Tell Senator Skelos’ aide that it is not acceptable for the Senate Leader to refuse to act on any of these bills which State Voters want addressed. Every call makes a difference. A.7400 Sweeney/S.5592 Carlucci — One Year Moratorium on Hydrofracking: As we reported last week, the New York State Assembly has already passed a bill that would suspend all permitting for hydraulic fracturing until June 1, 2012. But this bill will go nowhere unless the Senate passes their own version and the governor signs it. 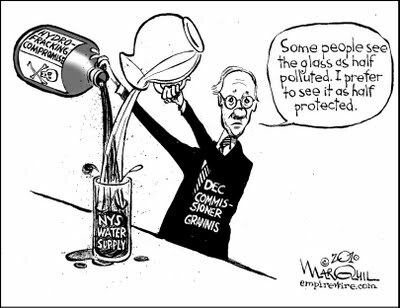 A.7013 Sweeney/S.4616 Avella — Classifying Fracking Waste as Hazardous: Toxic drill cuttings and fluid wastes are coming over the border from Pennsylvanian gas wells into ill-equipped New York landfills and treatment centers, endangering the drinking water of millions. Even though fracking chemicals arrive at the drilling site as regulated hazardous materials, federal and state exemptions allow drillers to treat the same drilling wastes leaving the site as standard industrial waste. This bill will update current regulations so that all resulting waste from natural gas drilling meets the definition of hazardous waste under New York State law. A.3245 Lifton/S.3472 Oppenheimer — Restoring Local Protections Over Natural Gas Development (Home Rule): This bill will clarify a local government’s right to enact and enforce zoning laws within their jurisdiction to protect them from the negative impacts of oil and gas development. The burden of oil and gas development is an unfunded mandate on upstate communities if they are not allowed to use the most basic land-use planning tools to protect unique local assets. Thank you for taking the time to act in the best interests of the economic and environmental future of our great state. 1. TITLE OF BILL: Requires oil, gas or mineral land lease to be recorded within thirty days of execution. PURPOSE: To amend the real property law, in relation to requiring oil, gas or mineral land leases to be recorded within thirty days of execution. SUMMARY OF PROVISIONS: The bill amends section 291 of the real property law, requiring that any conveyance of real property within New York State which is an oil, gas, or mineral land lease shall be recorded within thirty days from execution of the lease. EXISTING LAW: Section 291 of the real property law. JUSTIFICATION: Faced with increasing amounts of real estate property in New York that is subject to an oil, gas or mineral land lease, the housing and mortgage markets depend more than ever on timely and accurate information about lease agreements. Proper assessment and valuation of property is integral to the mortgage lending process, and for selling one’s home. However, reports from assessors and real estate agents indicate that gas companies which hold a lease interest have been delaying in recording their lease agreements with the relevant county clerk’s offices. Often the delays in filing have been upwards of six months to a year after execution of an agreement. Lack of information about a parcel’s lease terms, and the possibility of a lease on neighboring properties, have already been gravely impacting the mortgage and real estate markets. Establishing a thirty day requirement for recording of such lease agreements provides ample time for a leaseholder to comply without arbitrarily and capriciously impacting the housing market. 2. TITLE OF BILL: Relates to excluding oil, gas or mineral land leases from leases that may be recorded by memorandum of lease. PURPOSE: To amend the real property law, in relation to excluding oil, land or mineral land leases from leases that may be recorded by memorandum of lease. SUMMARY OF PROVISIONS: The bill excludes oil, gas, and mineral leases from the option to record a memorandum of lease at a county clerk’s office, requiring that a lease, in its entirety, be filed and available for public review. EXISTING LAW: Section 291-c of the real property law. JUSTIFICATION: Often, after executing an oil, gas, or mineral lease in New York State, the lessee will record a “memorandum of lease” with the relevant county clerk’s office. Such a memorandum provides only the bare minimum of information for public review about each specific lease agreement. Accordingly, the real estate industry in counties that have many oil and gas leases, which have increased exponentially over the past several years due to the possibility of shale gas extraction in the Marcellus play, has been greatly affected. Residential property valuation can be heavily dependent upon the specific terms of an oil, gas, or mineral lease. Notably, the duration of a lease, any easements or surface rights granted to a lessee, among other concerns, can directly impact a property’s value. Also, the existence of a lease on one’s land, or even on neighboring property given the lending institutions’ setback requirements, can impair the viability of a home to be eligible for title insurance or a mortgage. This is critical information for valuation of real property; therefore, the exact terms of a lease must be available to both assessors and lending institutions. 3. TITLE OF BILL: Requires a certain statement to be included in all oil, gas or mineral leases. PURPOSE: To amend the general obligations law, in relation to requiring a certain statement to be included in all oil, gas or mineral leases. 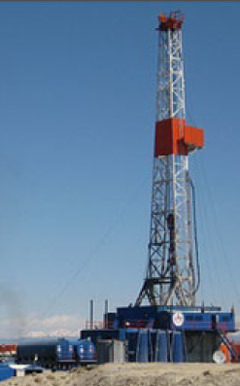 SUMMARY OF PROVISIONS: The bill adds subdivision 5-a to section 5-333 of the general obligations law, requiring that a plain language phrase explaining the possible risks to property value and to the ability to obtain a mortgage on a home with an oil or gas lease appear in all oil and gas leases executed on or after January 1, 2012. EXISTING LAW: Section 5-333 of the general obligations law. JUSTIFICATION: New York State is experiencing exponential growth in the amount of land that is leased for oil, gas or mineral extraction, due to the possibility of hydrofracking in the Marcellus Shale play. An issue that has recently come to light, with the increasing frequency of leases across upstate NY, is the potential impact of a lease upon one’s property value and upon the ability to obtain a mortgage. Most landowners are unaware at the time they sign a lease that long-term impacts to their property interests could result. This legislation seeks to provide consumer protection for landowners, providing notice of possible adverse impacts. 4. TITLE OF BILL: Relates to notice requirements for assigning oil, gas or mineral land leases. PURPOSE: To amend the general obligations law, in relation to notice requirements for assigning oil, gas or mineral land leases. SUMMARY OF PROVISIONS: The bill amends general obligations law, requiring that after January 1st 2012, the lessee or assignee must provide written notice to the landowner of any such assignment, and provide the names and addresses of such assignees to the current landowner. EXISTING LAW: Subdivisions 5 and 6 of section 5-333 of the general obligations law. 5. TITLE OF BILL: Relates to establishing an oil, gas or mineral land leases clearinghouse. PURPOSE: To amend the executive law and the real property law, in relation to establishing an oil, gas or mineral land leases clearinghouse. SUMMARY OF PROVISIONS: The bill amends executive and real property law in relation to establishing an oil, gas or mineral land leases clearinghouse within the Department of State, to allow for the collection and maintenance of all such leases in physical and/or electronic form. EXISTING LAW: Section 291-cc of the real property law; section 100-a of the executive law. JUSTIFICATION: New York State is experiencing exponential growth in the amount of land that is leased for oil, gas or mineral extraction, due to the possibility of hydrofracking in the Marcellus Shale play. As the number and density of leases increase, the complexity of navigating the implications for real estate assessment, and the effect upon the ability of a landowner to obtain a mortgage, also becomes much more difficult to gauge. Knowing what properties have leases, the specific terms of a lease, and whether New York citizens are able to buy and sell homes in our state is of compelling state and integral to the establishment of a state regulatory program for oil, gas and mineral extraction. Since the state takes the position that it is the sole regulator of natural resource extraction industries they ought to have clear and uniform records with regard to the mortgage lending industy, local assessments, and New Yorkers’ property value. 6. TITLE OF BILL: Requires signatures of both parties to record a modification, extension or renewal of an oil, gas or mineral land lease. PURPOSE: To amend the real property law, in relation to requiring signatures of both parties to a lease to record a modification, extension or renewal of an oil, gas or mineral land lease. SUMMARY OF PROVISIONS: The bill adds a new provision to real property law in relation to the recording of a modification, extension or renewal of an oil, gas, or mineral lease, requiring that such modification, extension or renewal be duly acknowledged by both parties to a lease. EXISTING LAW: Section 291-cc of the real property law. JUSTIFICATION: County clerks across New York State have increasingly, over the past year or so, been presented with oil, gas and mineral lease extensions which bear only the signature of a representative of the lessee company which has acquired a mineral interest. The unilateral extensions are delivered by couriers who operate on behalf of the lessee company who report that the landowners at issue have been notified of their lease extension. However, without a duly-acknowledged signature of both parties to a lease, there is no way for a county clerk to verify that a landowner has knowledge of the extension. In fact, landowners have reported that they were unaware of lease extension on their property. This legislation will clarify that a valid lease extension or modification must require the signature of both parties. The NATGA$ myth across the party and political $pectrum. NY and PA reps are highlighted. No doubt I missed a couple. Latest Major Action: 4/6/2011 Referred to House committee. Status: Referred to the Committee on Ways and Means, and in addition to the Committees on Science, Space, and Technology, and Energy and Commerce, for a period to be subsequently determined by the Speaker, in each case for consideration of such provisions as fall within the jurisdiction of the committee concerned. forth in the Environmental Conservation Law. Section two contains the effective date.